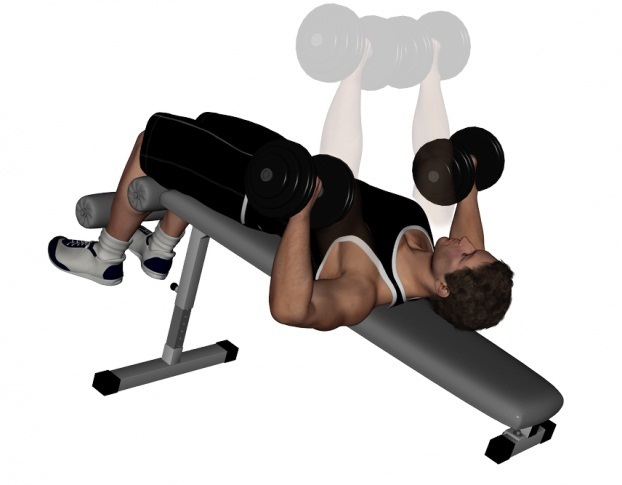 The decline dumbbell bench press is a type of strength exercise that not just targets your chest muscle group but also works your triceps and shoulder muscles. It assists in strengthening and emphasizing the lower portions of the pectoralis major, or the large muscle in the chest. Moreover, this workout helps give your chest a more symmetrical and balanced look. 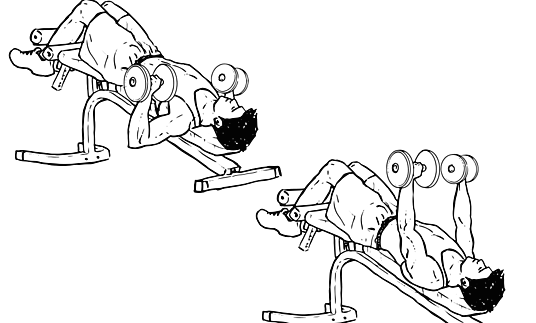 Its method of execution is quite similar to that of Dumbbell Bench Press except the fact that it is done on a decline bench whereas the latter is done on a flat bench. Lie down on a decline bench that is set at an angle of 30 degrees. Hold a pair of dumbbells, positioning yourself with your legs secured at the end of the bench and your palms facing each other. When you lay down, keep the dumbbells in front at shoulder width. Start by rotating the wrists forward in such a way that your palms face away from you. As you exhale, lower the dumbbells to your side. Make sure that you keep control of the weights throughout the workout. Pause, and then push the weights up using the pectoral muscles without locking the elbows out. Squeeze your chest, and after holding for a second start coming down at a slow pace. Repeat the steps as per the guidelines of your workout plan. 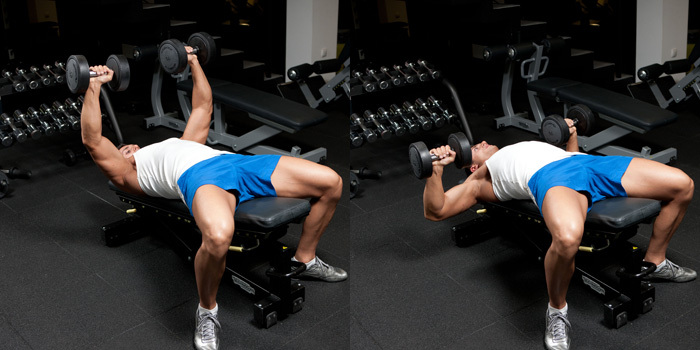 If you are using heavy weights, ask your trainer or gym partner to give the dumbbells to you while you lay down. The dumbbells should be slowly lowered so that it takes twice as long to bring them down than to raise them. Always keep the forearms perpendicular to the ground. Do not drop the weights after completing the set of exercises, as this could be injurious to the cuff muscles in your shoulders, as well as others who are training around you.